Airdusco has air moving equipment, both pressure and vacuum from high volume, low pressure industrial fans to 29” Hg+ deep vacuum produced by rotary vane vacuum pumps and all CFM and pressure ranges in between. 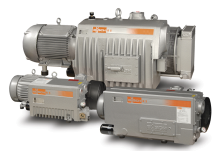 Through partnerships with companies such as Twin City Fans, Busch Vacuum and others we can help you select the correct industrial fan and blower, positive displacement blower, regenerative blower or vacuum pump to meet your needs. Whether you are mixing dry materials with other dry material or inducting powders into liquid, homogenous mixing is critical. We offer a variety of styles including ribbon, paddle and plow blenders and mixers for food, beverages, chemical and industrial applications. If you need to mix or induct powders into liquids Airdusco offers the Ystral® line of dispersing equipment. 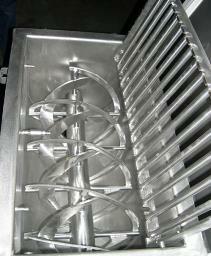 From simple mixing to suspending, homogenizing, emulsifying, or powder dispersion there is a product for you.